Why Would You Need to Get Your Toilet Flush Better? 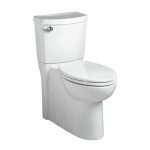 What Are the Reasons for Slow Flushing Toilet? Many people wonder how to make a toilet flush better. But how do you actually do it if you have no previous experience? 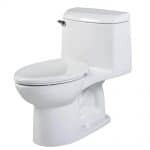 Slow flushing toilet can be a nightmare for someone, especially if you have a big family. During the morning rush hours, slow flushing toilet can make you waste time. You will be wasting your time and time of every family member in your household. Every toilet differs in things. However, the principle is the same. You don’t need to be a plumber to be able to understand how your toilet works. Neither to learn how to make your toilet flush better. 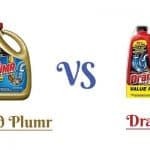 In this post, you will find everything necessary that will help you fix your slow flushing toilet. There are many reasons to getting your toilet flush better. Being annoyed by waiting is just one of them. It’s true that slow flushing toilet can waste your time and waste time of everyone in your family. It can even make you be late for work. Regardless, slow flushing toilet can cause some other problems as well. If your toilet isn’t flushing properly, it might not get enough of water in the toilet bowl in needed time. If the toilet isn’t flushing quickly enough, it might not be able to completely dispose of human waste. You would need to flush your toilet twice or maybe even three times then. Flushing toilet more times won’t only make you wait for the water tank to refill. You will also waste more water which results in higher water bill at the end of the month. There is absolutely no reason to waste neither your money nor your time. It’s time to come to an end with slow flushing toilets. It’s most likely that you’re having a slow flushing toilet problem. Slow flushing toilet can’t efficiently dispose of human waste as it should. Since toilet is made from three most important parts, the problem can be in either one of them. If you aren’t familiar with toilet parts, there’s no reason to worry. We will keep it simple so everyone can understand. The three main parts of every toilet are the toilet bowl, the water tank, and the mechanism. The most common reason why your toilet isn’t performing at the wanted flushing speed is simple. It is the water tank. The mechanism inside the toilet water tank is constantly in water. Therefore, it has its limited lifespan. If something from the mechanism isn’t doing its job properly, it’s a problem. Slow flushing toilet problem might occur. Another reason might be the release valve where the water flushes to your toilet bowl. Whenever you press the flush button on your water tank, the valve releases the water that is inside the water tank. If it’s blocked, or not opening properly, the water might be going out slower than it should. There is no one way to make your toilet flush better. As mentioned before, it’s most likely that toilets differ from model to model. But also, not everyone might have the same problem. Before you even make your toilet flush better, it’s important to find the cause of the problem. Most likely that it’s going to be inside the water tank. Although it is a problem, it’s still easily solvable. In my opinion, the best way to find the cause of the problem would be by cleaning your toilet. 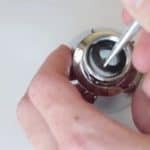 As you are cleaning your toilet, you will most likely come across the problem. You might even eliminate the problem as you clean your toilet without even knowing. The toilet should get cleaned at least once a week. If it’s not done at least once a week, the water inside the water tank might leave calcium. Also mineral build up that comes from the tap water. 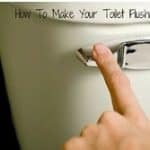 Such buildups can slow the flushing speed, but also create a number of other problems. However, sometimes, only some improvements are necessary. Inside the water tank, you have the ability to change the capacity of water inside it. It can simply be done by lifting up the water level bar inside the water tank to another level. Most of the new water tanks have the ability to raise the water capacity. Raising your water capacity inside the water tank is a great solution. You will be flushing more water into your toilet bowl. The more water there is, the heavier impact will be. Therefore, your toilet flushing speed will improve. If you are unsure how to change the capacity of water in your water tank, take it slow. It’s the best to find the manual or look up online your water tank model. The thing you should definitely avoid is to mess with other components inside your water tank. I don’t recommend you take the mechanism of your water tank apart, for example. But you can look around and see if there’s anything causing the problem. Also feel free to change the water tank volume. That’s something manufacturers have made available for all users to do themselves. Never leave toilet cleaning products for too long inside the water tank. Otherwise, it might weaken the material of your water tank and its mechanical parts. If you come to the point where you need to look for solutions, stay calm. Look for various solutions and you will make it work. You don’t need to replace your toilet whenever you experience a problem. However, we agree that it can be really frustrating, time-wasting, and annoying. There are many reasons why your toilet flushing speed is not the best. There are also many different ways to fix it. If you follow the post, you will be able to understand what to look for, and how to actually fix it. 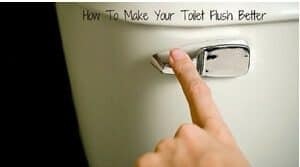 How slow is your toilet flushing? Did you do something about it already?